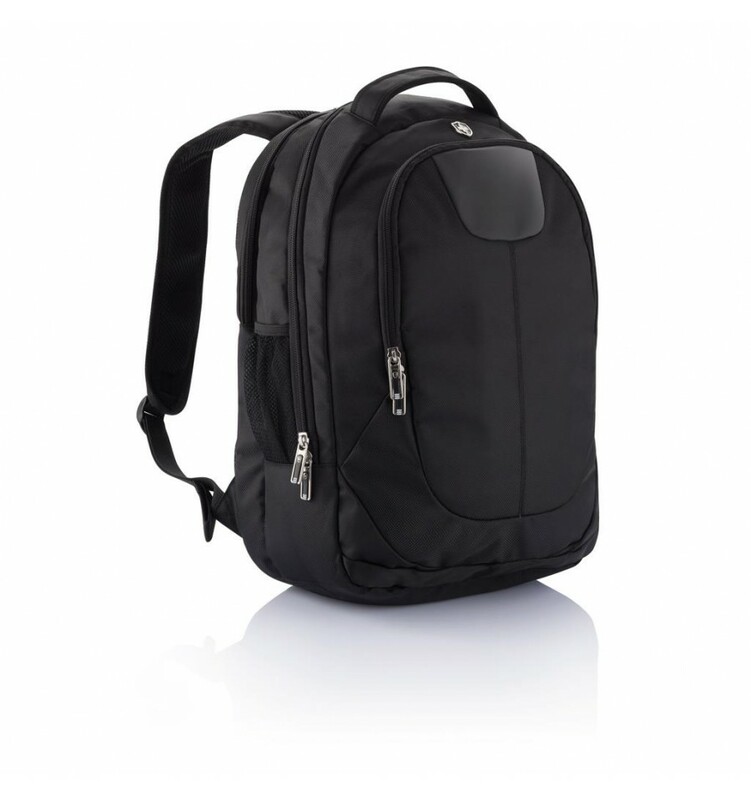 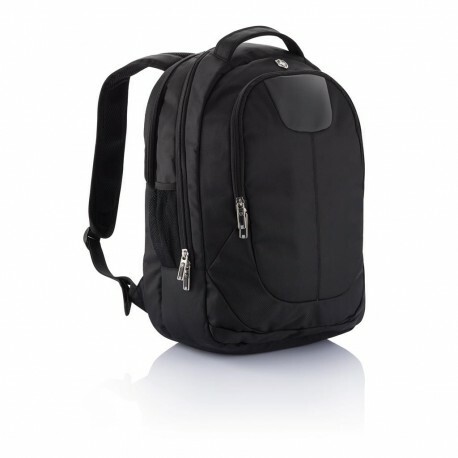 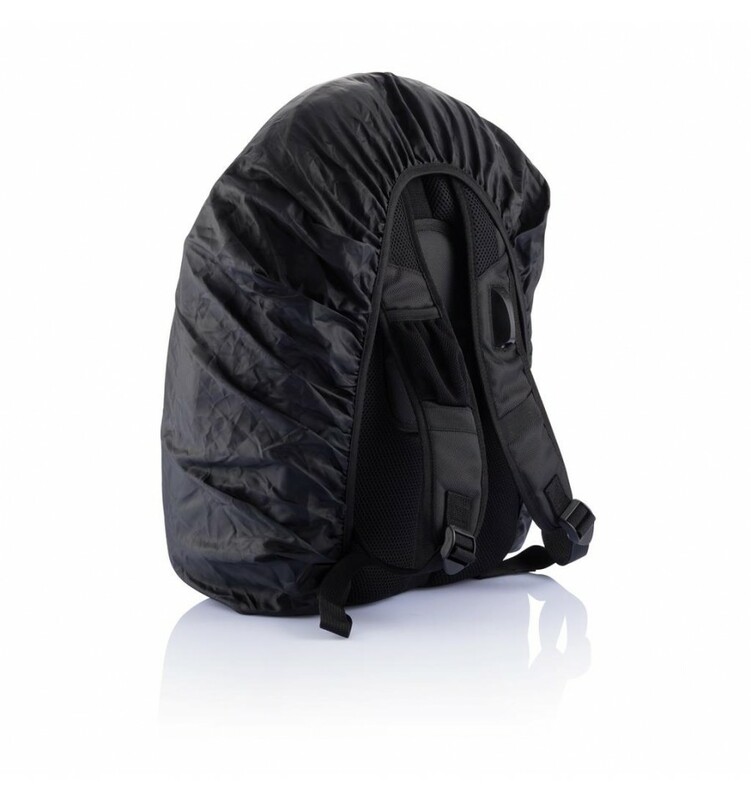 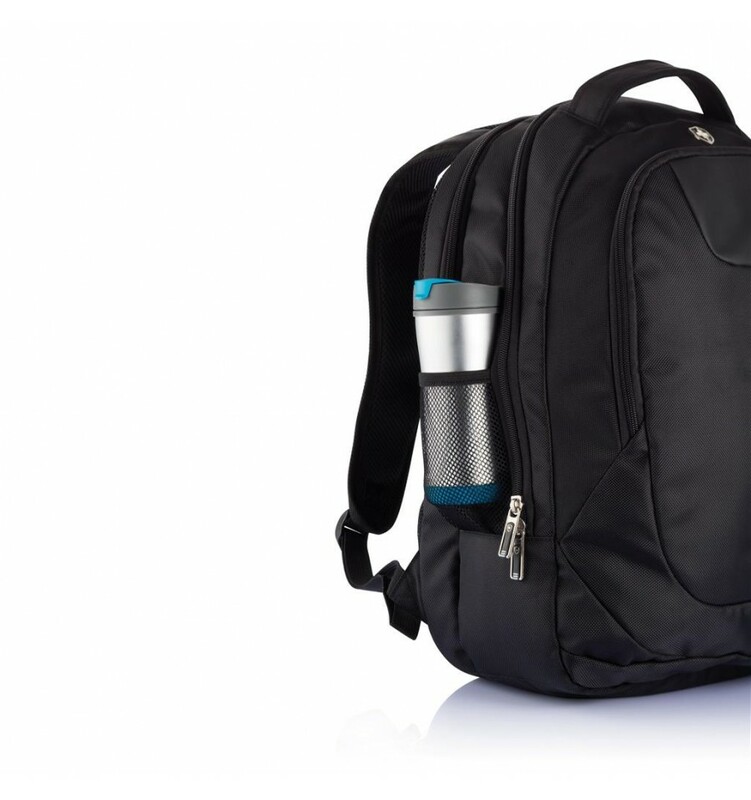 1680D polyester laptop backpack with unique balance between comfort and outdoor protection. 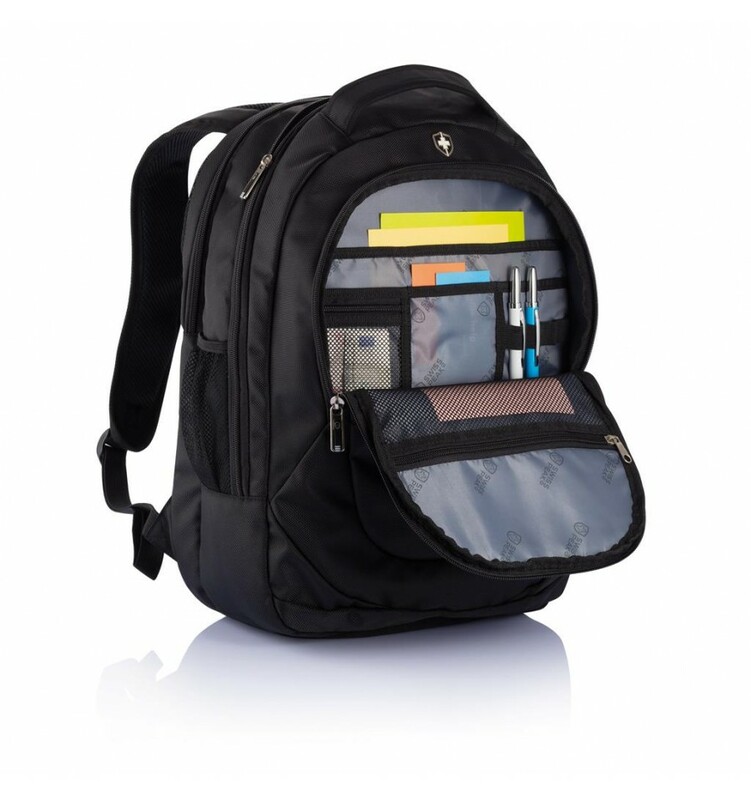 The backpack covers pockets for all your necessities from padded laptop compartment and iPad holder to pen loops and mesh pockets. 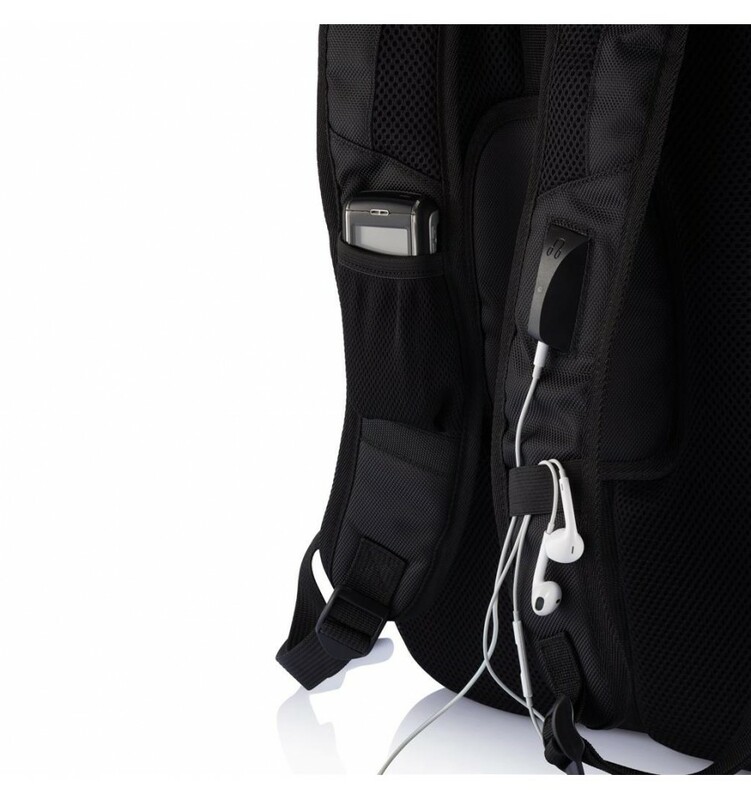 On the shoulder strap there is an audio jack to connect your headphone and a sunglass carrier. 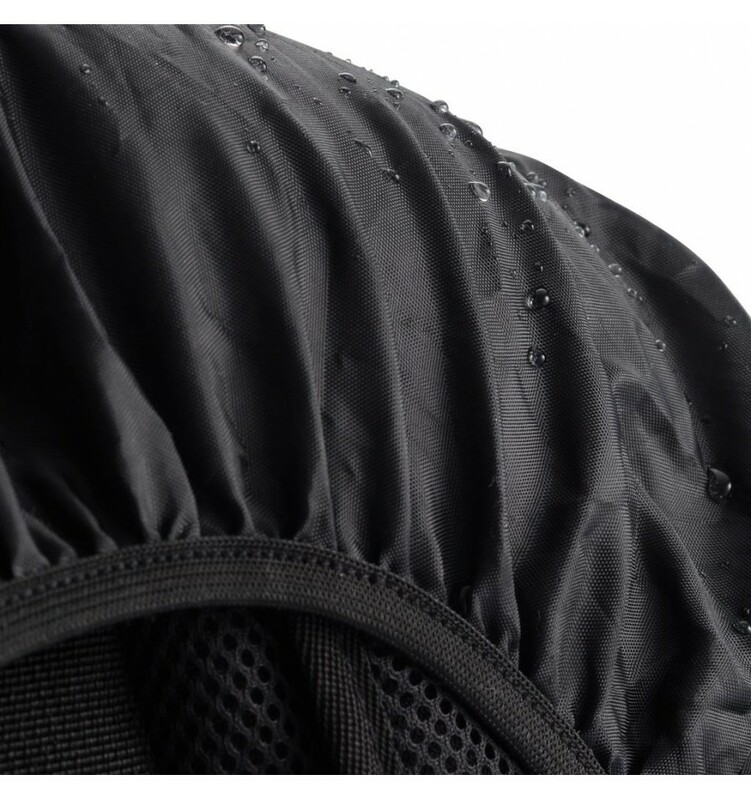 It even has a rain cover to protect it all.